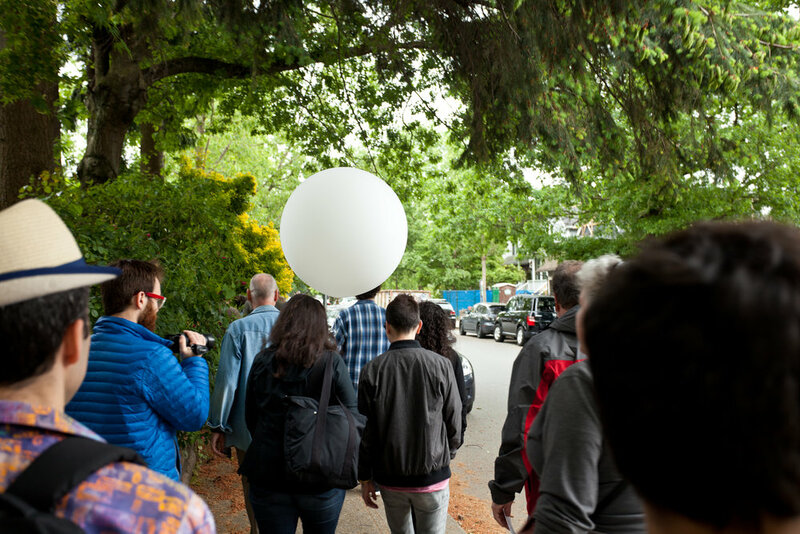 As part of the FUTURE MARKERS project, I held a public walk to unveil the in-situ installation of the five Future Marker signs. Artists were asked to create responses to the signs or sites, and while walkers ventured forwards and backwards in time. 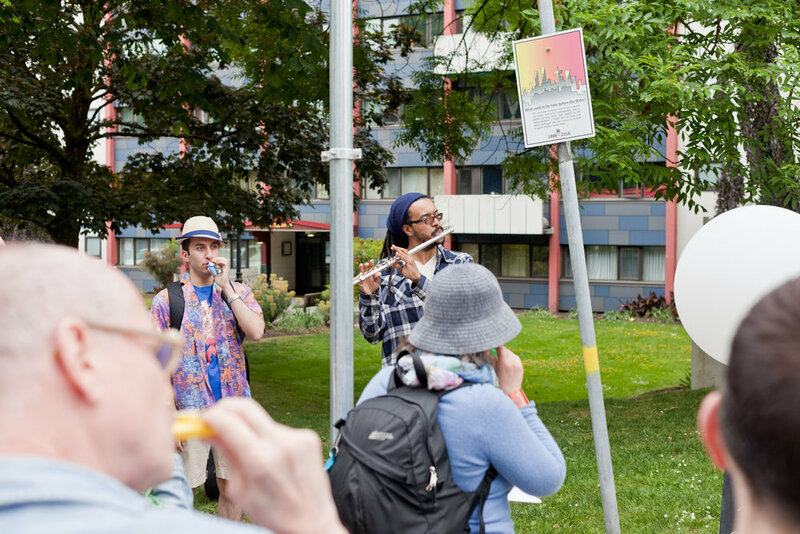 The event culminated in cake eating and music making to mark the 125th anniversary of the walk we had just completed. Participating Artists: Barbara Adler with Megan Stewart, Farooq Al-Sajee, Matthew Ariaratnam with Marcelo Vieira, Mr. Fire-Man.